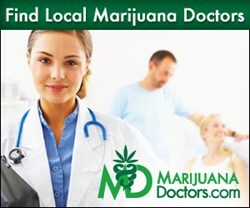 In a continued marketing outreach to the most reputable cannabis-recommending doctors from across the country, MarijuanaDoctors has added West Hartford Medical Center to an already bolstered roster. As a new addition to this compassionate network, the West Hartford Medical Center will spread compassionate medical practices throughout the state of Connecticut and tackle an on-going problem of a lack of legitimacy. The West Hartford Medical Center is an alternative healthcare facility that is located in West Hartford, Connecticut and is home to one of the state’s most reputable and professionally-licensed medical marijuana doctors. For the last couple of years this medical facility has been supplying patients in the state with some of the most attentive and individualized healthcare, all of which has been largely responsible for this location's dedicated patient base. In a continuation of a compassionate outreach to Connecticut, West Hartford Medical Center thrives to help patients become one step closer towards obtaining a Connecticut medical marijuana card. This clinic is meant to provide services to the many inquiring and current medical marijuana patients in the state of Connecticut, while being able to provide them with the alternative pain management options that will best alleviate or reduce their chronic and debilitating medical conditions. Aside from any basic primary care patient functionality, this location also specializes in all services relating to medical marijuana such as the following: medical marijuana evaluations, medical marijuana recommendations and medical marijuana certifications. Please note that this location also has an on-hand staff that is comprised of some of the industry’s most professional and knowledgeable individuals, all of which are at a patients disposal and will help them within the processes of filing and submitting documentation to obtain a Connecticut medical marijuana card. At the West Hartford location, this facility prides itself in constantly being able to adhere to each and every inquiry or concern that is brought forward. Not only does this clinic feature some of the finest services in the state of Connecticut, but it also offers some of the finest services in alternative healthcare, period. As an expanded group of three physicians, West Hartford Medical Center has enabled itself to expand all medical practices by better coordinating patient care and ensuring patients maximum efficiency from the moment one enters this location's doors. It is promised that this location features the most state-of-the-art technology, resources and medical practices all to ensure patients the goal of staying healthy. Located in one of the most historically rich cities in Connecticut, West Hartford Medical Center pays homage to a place where visitor will discover something wonderful around every corner. West Hartford is full of new beginnings and the cultural diversity that is necessary for a community to succeed. On the eastern border of West Hartford, one can find world-renowned parks, rose gardens and thousands upon thousands of daffodils and tulips. To the northwest of West Hartford, one can find nature at its absolute finest in one of the many hiking trails and paths. Regardless of where an individual is, West Hartford offers visitors one of the most unhurried atmospheres where relaxation is heavily enforced. If looking for a Connecticut medical marijuana card, come down to West Hartford today and experience true compassion! As a recent addition to the MarijuanaDoctors network of licensed and reputable medical marijuana doctors, West Hartford Medical is a sure-fire choice to continue the valued practices of alternative medicine. Similar to all of the medical practitioners signed up to the MarijuanaDoctors network, West Hartford Medical Center is of the utmost highest standing and has completed thorough and extensive background checks to ensure patient's maximum legitimacy. Although this location is located out of West Hartford, it extends its services to the surrounding towns and communities of Hartford, Litchfield, Tolland, Middlesex and New London. C.O.O. of MarijuanaDoctors.com, John Nicolazzo said, "As a main provider of legitimate medical marijuana evaluations and recommendations in my home state of Connecticut, this company is honored and privileged to be associated with such a reputable clinic. West Hartford Medical is going to provide Connecticut medical marijuana patients with the compassion and professionalism they deserve most, while helping them achieve the wellness they could not before."